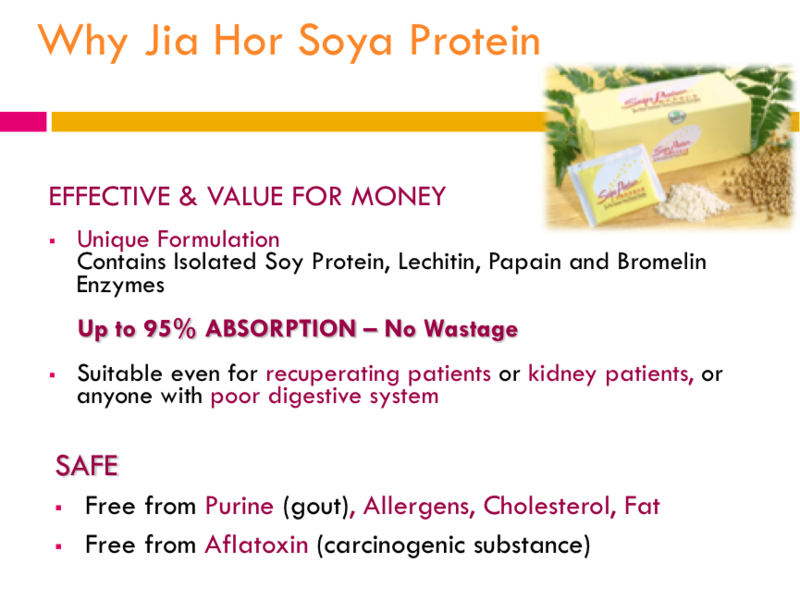 Email askfuiping@gmail.com to purchase Jia Hor Instant Soya Protein. 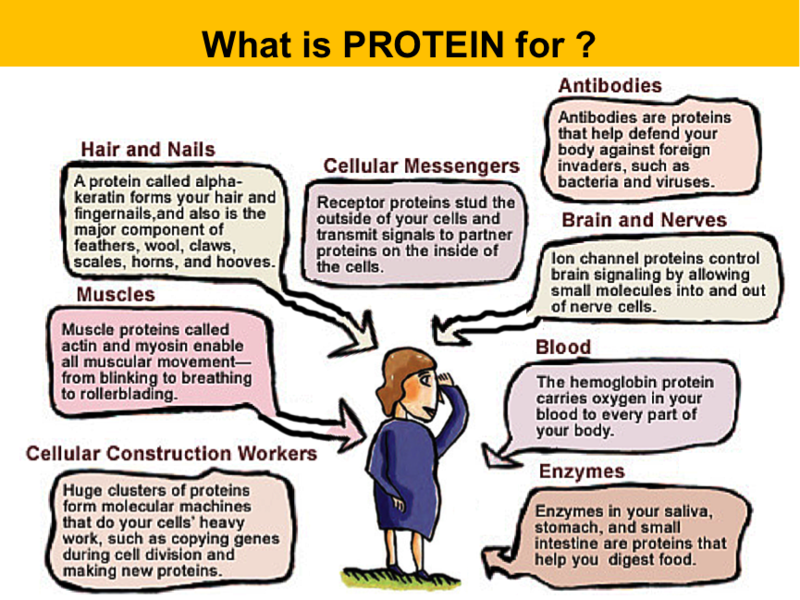 Do you know that Protein is the second most plentiful substance in your body after water? It comprises about 20% of your body's weight. The protein is made up of about 20 amino acids, of which 8 are Essential (meaning you can only get them from food that you eat) - Isoleucine, Leucine, Lysine, Methionine, Phenylalaline, Threonine, Trytophan and Valine. 1. Myth: The more protein, the better. Fact: Excess protein promotes diseases such as gout, kidney or liver failure, osteoporosis etc. 2. Myth: Complete proteins are hard to find. Protein from meat, fish, poultry, milk, fish and eggs is superior to the incomplete proteins from plant sources. Meat is the best protein source and other foods have little or no protein. Fact: Our body constructs protein by picking the amino acids required from our blood. Eating a variety of plant proteins provide complete amino acids. Plants contain an abundance of phytonutrients, antioxidants, vitamins, minerals and fiber. 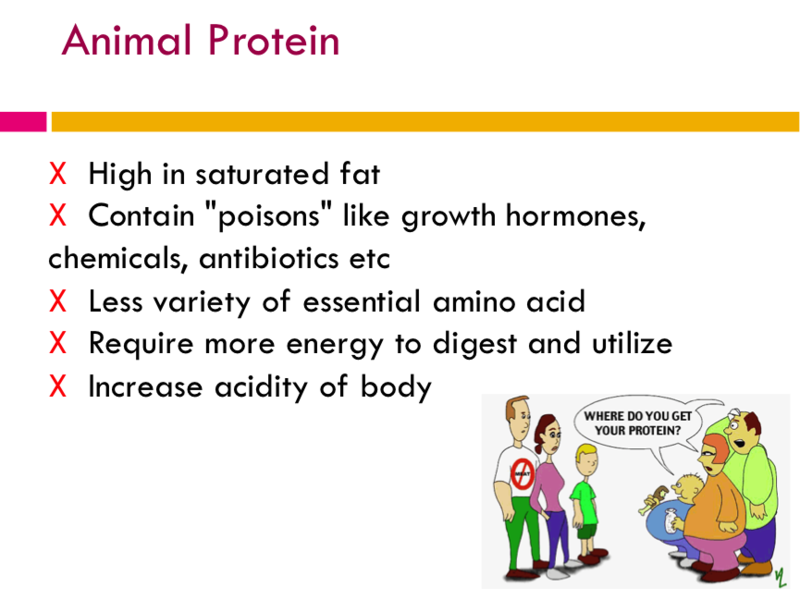 On the contrary, animal protein is wrapped up with unhealthy saturated fat and dietary cholesterol. Animal products are also devoid of phytonutrients, antioxidants and fiber, and are very low in most vitamins and minerals. 3. Myth: The more active you are, the more protein you need. Fact: Humans need only about 10% of calories from protein. Carbo and fats are the main sources of energy, compared to protein. Excess protein produces more urea and promotes diuretic effects, hence drains out alkaline forming substance through your urine. High animal protein could damage the DNA of your cells, turning them to code cancer cells. If your immune cells which are supposed to destroy the cancer cells malfunction, your body could end up with growth of cancer cells. Protein that has not been degraded into nutrition enter blood circulation through intestine walls as unknown substances. Your body's reaction to such substances could lead to allergic reaction. Our heart and kidney are responsible for degrading excess protein which are removed through urine. So too much protein will make them work harder and tire them out. Excess protein can lead to calcium deficiency, which will disturb the nervous system and stimulate anxiety and irritability in children and result in bone loss problem in adults. 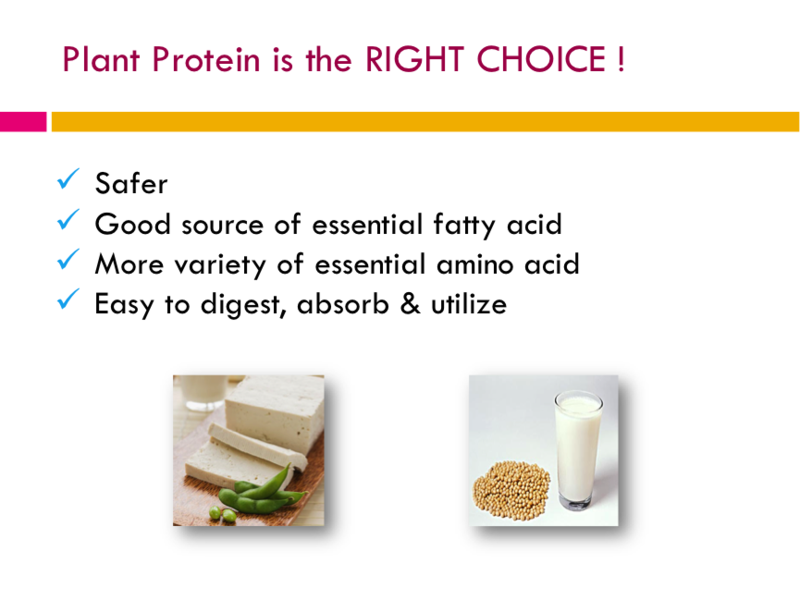 Email me at askfuiping@gmail.com to purchase Jia Hor Soya Protein, which is an excellent source of plant-based protein. To discover How to Choose a Good Quality Protein, *click* here.